Air conditioner maintain the humidity,temp,pressure,sound,air velocity,dust control. if there is a requirement to maintain more than 2-4 rooms at a time with one air conditioner then we recommend using Ductable AC. 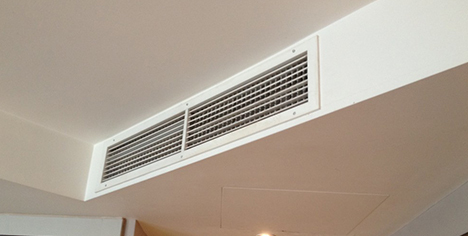 In this system one duct or line have to go through all rooms to flow the pure & cooled air to the rooms & one duct or line have to bring all corrosive air outside the rooms & flows into outwards. Call us for Inspection / repair , service and AMC ; we will be happy to assist you with best price.